Most children experience at least one ear infection in their life. Ear infections that are caused by bacteria require antibiotics to resolve. Sometimes, fluid can accumulate behind the eardrum without infection. In this case, antibiotics aren’t necessary, but the fluid has a negative impact on hearing. For some children, as well as some adults, ear infections become a chronic issue. When children experience chronic infections or persistent fluid behind the eardrum, school performance can suffer, and behavior and speech problems can develop. In this case, ear tubes are discussed as a safe and effective treatment option. For adults, ear tubes can often be placed in the office under local anesthesia. For children, ear tube placement is performed under anesthesia in a hospital setting. The procedure can be performed safely in an OR under mask anesthesia in less than 5 minutes. Children undergoing ear tube placement in the OR receive minimal anesthesia using only a mask and do NOT require insertion of an IV or breathing tube. The child wakes up and is monitored for a short period of time before being discharged home. The vast majority of children experience little to no pain and can resume their normal activity immediately. In some circumstances, it might be recommended to remove the adenoid tissue at the same time as ear tube placement. This is usually determined by a patient’s history, and in some cases, an x-ray might be performed to check the size of the adenoids. At North Atlanta ENT & Allergy, we follow up with our patients approximately every four months in the office, to check for ear tube placement and to make sure they are unobstructed and working properly. If the patient continues to get ear infections after tubes are placed, there will be noticeable drainage from the ears. However, these infections are usually treated successfully with antibiotic eardrops. As long as the ear tubes are patent and working correctly, oral antibiotics are rarely needed for an ear infection. 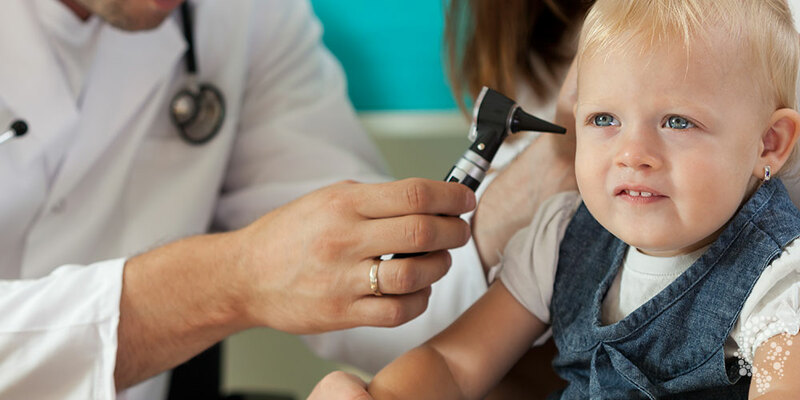 An evaluation with an ear, nose and throat provider can help determine if ear tubes are an appropriate treatment option. To find out how NAENTA can help you prevent recurring ear infections, call us at (770) 292-3045 or fill out our appointment form.